Today I have the pleasure of interviewing Bruce Cohen, M.D., Ph.D, who is Director of the Harvard University McLean Psychiatric Hospital and Professor of Psychiatry at Harvard Medical School. He is also the coauthor, with Chelsea Lowe, of the recently released book Living with Someone Who’s Living With Bipolar Disorder: A Practical Guide for Family, Friends, and Coworkers. Cohen lives in the Boston area. Question: I have always maintained that the best thing a person can do to support a bipolar loved one is get educated. But if you could offer folks a crash course, what are the five most important things you think a loved one should know about bipolar disorder? Bipolar disorder is an illness, with risk determined by genes and environment, like other medical illnesses. All medical illnesses affect mood, thinking and behavior, but there is always much more to the person than the illness. Bipolar disorder usually responds well to a combination of appropriate medication and targeted psychosocial therapies. Untreated or inadequately treated bipolar disorder can lead to many personal, career and life difficulties or even death. There is great strength and insight available in relationships, and problems that arise due to bipolar disorder, as well as evaluation of symptoms and treatments, are best handled together with your loved one. Talk with one another about bipolar disorder, privately, and go together to some doctor’s appointments. 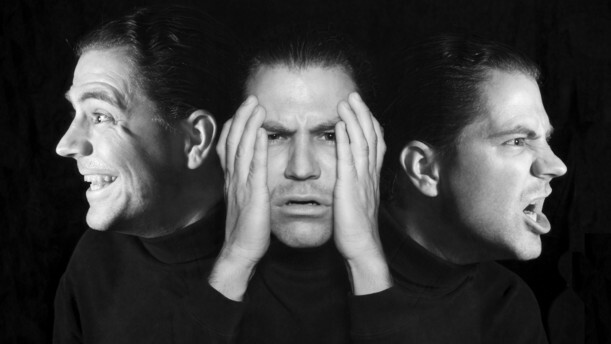 An increased risk for bipolar disorder is lifelong, so it is wise to evaluate whether new concerns or difficulties experienced by someone who has had an episode of bipolar disorder are due to a recurrence of illness. In addition to professional treatment, many other lifestyle factors help, including: Support from family, friends and community; regular exercise, a good diet, and healthy sleep; and planning ahead to reduce stress. Question: Suppose a mentally ill loved one or friend doesn’t want to get help, then what do you do? Dr. Cohen: Don’t give up. At appropriate times, kindly and patiently talk with your loved one or friend about what you are seeing and why it is worrying you and remind them that getting an evaluation doesn’t mean deciding on treatment. If your loved one or friend is in immediate danger from illness, don’t be afraid to call for help from professionals, including the police. Question: Can you offer any guidance to folks regarding how they should approach so many choices with medication? For example, I found that the older drugs worked better for me, but many of the psychiatrists I saw only wanted to work with the newer ones. Do you have any insight with regards to how to get the best treatment?